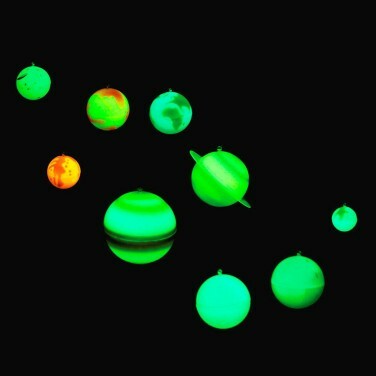 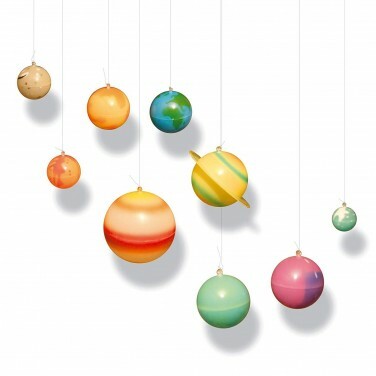 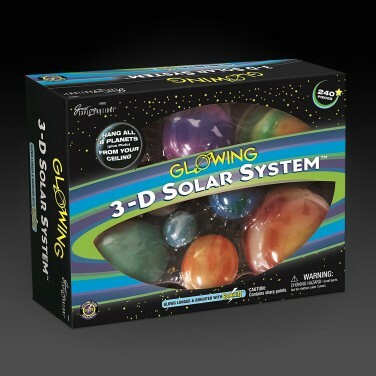 Transform your child's room into a magical Solar System of glowing planets and stars with this complete 3D planet kit. 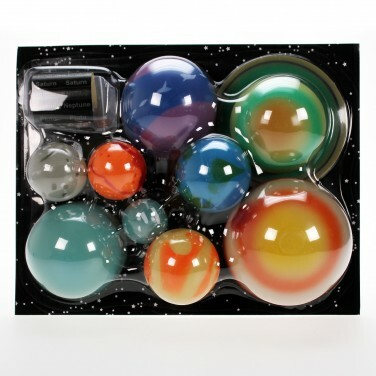 With 9 3D spherical planets and an additional 230 adhesive glow in the dark stars, comets and asteroids, this kit contains all you need to bring the Solar System to life night after night. 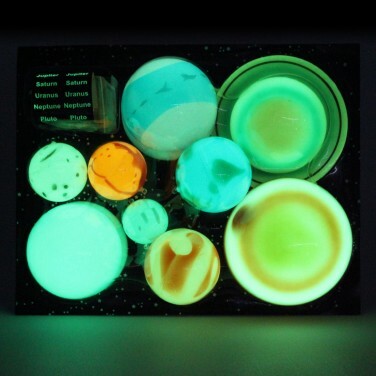 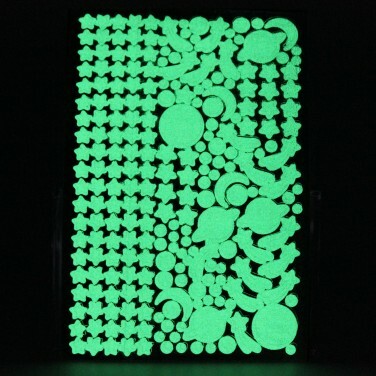 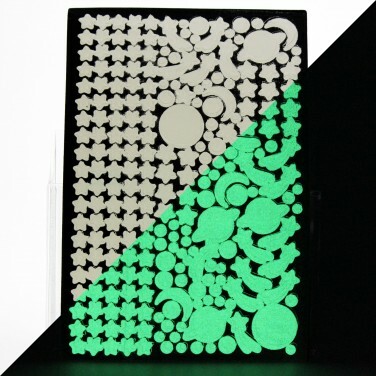 String, adhesive putty and even star shaped tacks are included to complete the effect, simply allow the planets and stars exposure to light before viewing in pitch black conditions for magical glow in the dark effects!